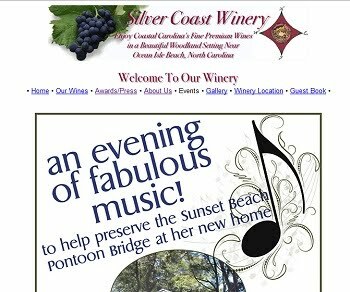 On the evening of April 2nd, 2011, Silver Coast Winery is hosting a musical event to raise funds with the Old Bridge Preservation Society to help establish the Old Pontoon Bridge in its new role as a museum in Sunset Beach, NC. As Summer draws near, I have been working on finding new ways to pull together useful information for folks who are as yet unfamiliar with Sunset Beach, NC. If you get me started, I can talk on and on about how natural and unspoiled our beach is, with all the houses tucked well behind the sand dunes, and the closest high-rise being nothing but a distant white spec over in Ocean Isle. And then there's Bird Island, a 1300-acre natural area and State preserve, which stretches from Sunset Beach all the way to the NC/SC state line. While surfing the net, I found a post by an enterprising soul who tried some K.A.V (Kite Aerial Video) at Sunset Beach back in 2009. It's a lot of fun watching this (Although, I found I needed to close my eyes during the "lift-off" and "landing" parts.). 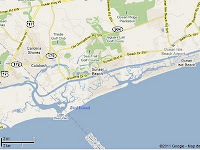 The video begins with the camera pointing out over Bird Island, and bit by bit turns 360 degrees so that you can see out over the ocean, back towards Ocean Isle, and out over the town of Sunset Beach, so that you can see inland beyond the old swing bridge (You can just make it out in the distance, right near the Water Tower.) and Intracoastal Waterway. Notice how wonderfully NOT crowded the beach is? 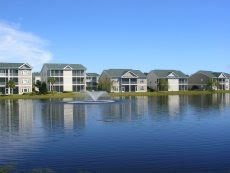 That's another thing my family loves about Sunset Beach! This video was filmed in the middle of July! When my family and I are in Sunset Beach, we enjoy visiting Museum of Coastal Carolina and learning more about the wildlife in that part of the Carolinas. 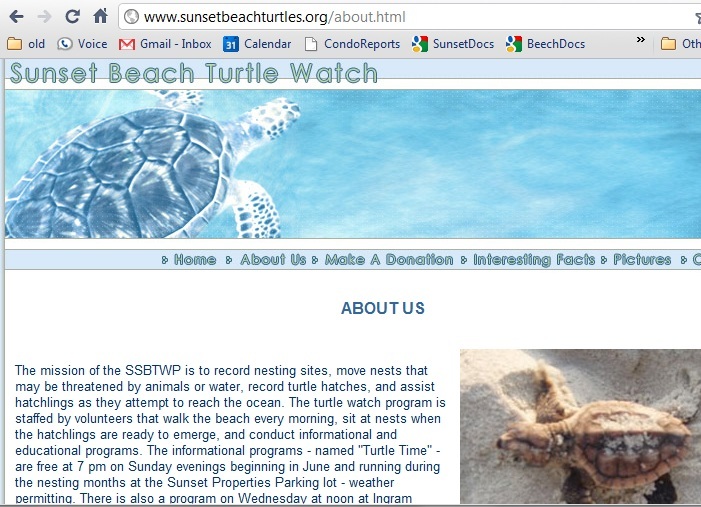 Another great nearby resource for this is the Sunset Beach Turtle Watch Program. Coordinated by Carmel Zetts, Sunset Beach Turtle Patrol volunteers teach others about the life cycle of sea turtles and their ongoing work towards saving them. During the summer months, Carmel usually leads 2 programs each week at the Planetarium in Sunset Beach, and also outside at the Beach, weather permitting (these meet in the parking lot of Sunset Properties on Sunset Blvd.). To find out more on the when and wheres, you can visit the Sunset Beach Turtle Watch website (where you can also download a very nice Activity Book for your kids) or contact Ingram Planetarium to ask about their program schedules for this year.